Why should we prepare today? Operational documents and drill for optimal preparedness for a nuclear incident derived from a client`s analysis and its specific characteristics. 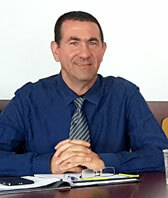 Dr. Ori Nissim Levi, an expert in nuclear defense, has a B.Sc an MBA and Ph.D in managing nuclear risks at a governmental level, preparations for nuclear incidents, coping during events and national rehabilitation after a nuclear event. An active Colonel in the Israeli Defense Forces Reserves HFC, serving in operational roles and responsible for the construction of large-scale exercises from the emergency area of earthquake, tsunamis, conventional and non-conventional weapons. 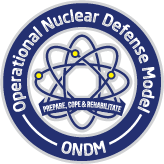 Operational Nuclear Defense Model (ONDM), a model that describes practical operation plans for countries/cities to cope with the most severe nuclear events, ranked 6-7 on the international INES scale. ONDM purpose is to guide, at a national level, how it is possible to plan, cope with and bring about rehabilitation after a very severe nuclear event. Engineer Ori Nissim Levi develops the ONDM model of nuclear defense assessments in part of his doctoral research. The strength of the research is the combination of the theory that is crystallizing around the world and its practical experience as an IDF colonel in which he dealt with large-scale incidents. Accumulation of experience by bodies and leaders from the study cases from major incidents such as Fukushima, Chernobyl, Three Mile Island, Nagasaki, Hiroshima and countries preparing for nuclear incidents such as Switzerland, Finland, USA.